Anarchist Nikos Romanos ended his hunger strike after thirty days this week. The strike brought Romanos to the edge of death as Greece came close to the point of insurrection in his support. 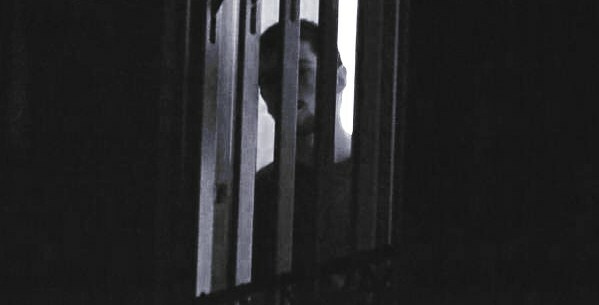 On Wednesday 10th December, anarchist prisoner Nikos Romanos ended his hunger strike which he begun on November 10th to request his right to take educational leave. The strike was ended after the creation of a legislative amendment to allow prisoners to take educational leave on the condition they wear an electronic tracking bracelet. In many ways this struggle has been a victory for Romanos and the anarchist movement. The hunger strike was initially ignored by the state with Romanos' request being turned down by the courts. However, the situation changed when a solidarity movement, both inside and outside, the prisons sprung up as Romanos' health declined. On the inside a number of other prisoners joined the hunger strike or took actions such as abstaining from prison meals and refusing to re-enter their cells. On the streets solidarity actions were taking place each day and night. A wave of arsons targeted banks across Greece as police stations came under attack. A significant moment came on the 2nd December after another court had rejected Romanos' request. A large demonstration through the centre of Athens sent a clear message of support for Romanos. It was probably one of the biggest demonstrations for an anarchist cause in recent years with some estimating as many as 15,000 marched. While the march itself was largely peaceful the sight of 15,000 fired-up anarchists marching through the city centre made the government anxious. Clashes followed during the evening around the newly occupied Polytechnic University and the subsequent images of the Exarchia neighbourhood burning for Romanos brought back memories of December 2008. A slogan written on the walls that night, 'the air begins to smell like December', set the tone for the next days as tensions increased. The connection between Romanos and the December 2008 revolt were not forgotten by Greek society. Romanos had been a friend of Alexis Grigoropoulos and had been present when he was murdered on December 6th. With solidarity attacks increasing, new buildings being occupied and demonstrations growing, the state began to appear worried as the spirit of 2008 seemed to be returning. Headlines suddenly talked of ministers attempting to appease the young anarchist as figures of the Left came out in Romanos' support. When Romanos ended his next letter by calling on people to meet on the streets of rage on December 6th, the Public Order minister's appeal for citizens to remain calm fell on deaf ears. Between Friday 5th and the morning of Saturday 6th protests and gatherings had been banned in central Athens under the pretext of the Turkish PM's visit. New occupations had been set up to support the struggle and every major city and town in Greece had at least one occupation ongoing. Early on the 6th clashes broke out in the northern city of Thessaloniki as marches were held up and down the country. In Athens, the main evening demonstration was again large and passionate. Several thousand marched through the city centre and clashed with police at various points. The streets of the city centre were largely deserted as all shops and businesses were locked and shuttered early on. Any businesses or banks not secured were smashed, particularly around the Omonia area. Following the march, large police attacks hit the gathered crowds. Riot and motorcycle units chased people from the Omonia area and beat and detained dozens in the process. In the Exarchia neighbourhood, the site of the 2008 murder, fighting lasted through much of the night. Despite the near military scale of the police operation-water cannons, several thousand riot cops, helicopters- they were not able to take control of the area and crush resistance as they have done on several recent demonstration/riot days. With the helicopters buzzing low over head, a cacophony of sirens mixed with explosions and tear gas filling the air, the centre of Athens once again resembled a war zone. On the lighter side, mainstream media later received much, comic, criticism for running stories about anarchists jumping across building roof tops and balconies and attacking the riot units using parkour moves as the flying anarchists of Exarchia became a meme on Greek social media. Still tensions continued to build. A high court once again rejected Romanos' request and as he approached thirty days of hunger strike his health was in a critical condition. Parliament was preparing an amendment to allow educational leave but still the politicians, unwilling to give in to an anarchist, debated and hesitated. Solidarity actions continued outside, a bus was burnt early one morning to block a central Athens street, a bomb was detonated outside a bank in the western suburb of Halandri and the new occupations planned further diverse protests and actions. Eventually, with Romanos having started a thirst strike Wednesday morning, parliament passed an amendment to grant leave with the use of tracking bracelets. The hunger strike ended a little later and people's attention began to drift over to the upcoming critical presidential elections. The granting of educational leave is undoubtedly a victory for Nikos Romanos, an unexpected one too. Few would have thought that the government would allow the right to leave since the denial of such prison leaves is a big part of the recently created high security prisons (Type C). In this way the victory of the hunger strike may deal a small blow to the Type C prisons. It remains to be seen however, what are the full implications of the use of tracking bracelets and its effects on other prisoners. Most importantly though Romanos is alive still. There was a time when it looked as if the government may be willing to ignore him till he died. For the anarchist movement as a whole there are positives to take from these events. After a period of relative inactivity the critical situation galvanised people into action and we have another example of anarchy working best when it is on the offensive. The fact that what was at first just an incident of concern to anarchists, the hunger strike of an imprisoned bank robber, became a movement which enjoyed broad support, if not direct participation, is also significant. In a crisis racked society desperate for new ideas, anarchist initiatives can find unexpected support. More over, Romanos' resilience and the bold support of those outside showed defiance against an increasingly authoritarian state just when resistance to the crisis is supposed to have been crushed. And once again the inhumanity of the state and its law has been shown up. Romanos had to nearly die and many outside had to be chased, gassed, beaten and arrested for a democratic state to give one person the rights supposedly enjoyed by all. There are some negative sides to these events as well. As mentioned above it is unclear what the implications of the tracking bracelets will be for other prisoners. After the initial relief that the hunger strike was over and Romanos would live, some were disappointed that the energy and tension that had built up to the point were it looked like an insurrection may break out were now dissipated. The events also showed up some tactical problems, for instance on the night of the December 6th riots. If anarchy is to grow it needs to move out of its own comfort zones and offer something new. The gut instinct to fall back to Exarchia, the anarchist's neighbourhood, and fight it out with police there, is not anything new. It is a well worn pattern of events that Greek society has largely accepted and absorbed. For all that Exarchia fought well that night, it offered little new. And so Romanos and the movement have a victory, a small victory in a long and continuing battle but a needed win nonetheless. These events can serve as an example of a successful solidarity campaign which used a variety of forms-mass marches, riots, counter information, arsons, bombs, occupations, etc. At a time when the Greek state becomes increasingly authoritarian and the mask of democratic respectability slips, a successful example of resistance and solidarity takes on added meaning as we may be about to enter another period of crisis and unrest.